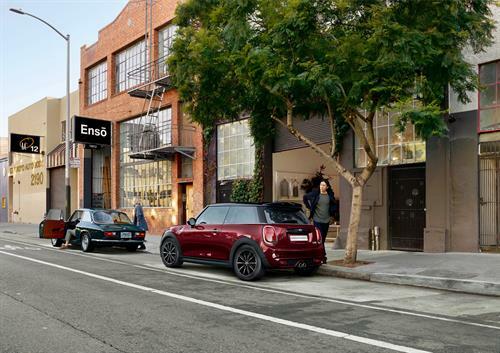 MINI Adds A Royal Edition. In line with the Duke and Duchess of Sussex arriving in Australia for The Invictus Games, MINI has announced a limited edition with royal overtones. 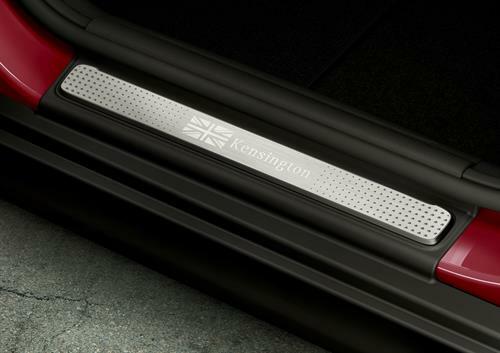 The Kensington Edition is a proper limited run with just 60 cars to be made available. The option will be on the Cooper/Cooper S three and five door models, with fifteen each for the four trim levels. Mini are also using the internet in the order process, with an online ordering and allocation process specifically for the Kensington. The cars will be painted in the eyecatching Pure Burgundy metallic paint that MINI has showcased previously. 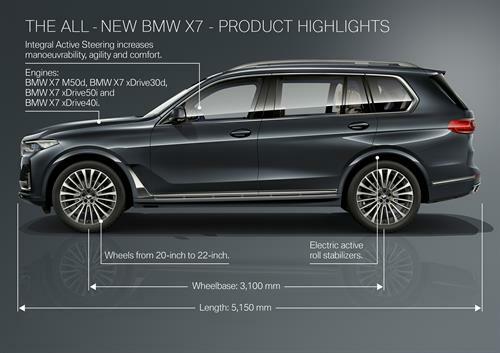 Extra features such as an illuminated door sill and Kensington specific badging are complemented by the extensive standard features list. 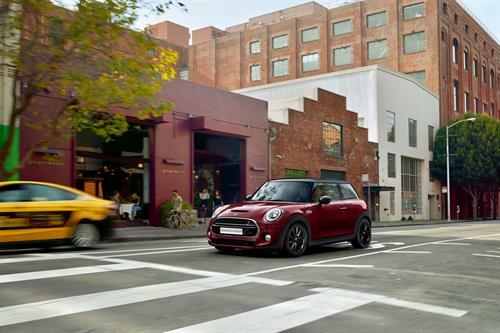 The Cooper S gets a sports oriented double clutch transmission, an 8.8 inch touchscreen with Mini Navigation Plus, and a well specified safety package. 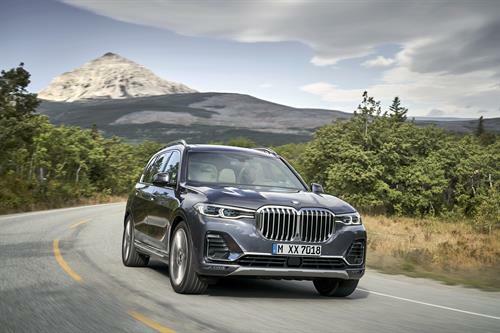 The Kensington will see a Driver Assist Package, featuring City Collision Mitigation, Forward Collision Warning, High-Beam Assistant and Speed Sign Recognition. Then there’s the Active Package, featuring LED Headlights with Union Jack tail lights, MINI Excitement Package, White Indicator lenses, automatic climate control and Wireless phone charging (already standard on Cooper S). There’s a pair of different wheels, with the Cooper receiving 16 inch Victory spoke alloys, the Cooper S rolling on 17 inch Cosmos spoke alloys, with both painted black. These are matched by the blacked coated mirror caps, roof, and spoiler. Inside there is a Panoramic sunroof, black leather seating in a diamond quilt weave for the Cooper, and the “MINI Yours” carbon black package for the Cooper S. Piano black and chrome highlights are featured and the Cooper S receives heated front seats also. Warranty is a three year and unlimited kilometre package with optionable extra warranty and servicing. The weather is starting to get at least a bit warmer, and it’s about time that we started thinking about summer and about summer motoring. 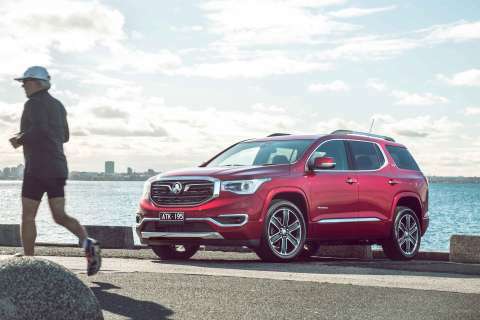 For most of us, especially if we’re in the hotter parts of Australia, having air conditioning that works well is an absolute must if you want to stay sane during the daily commute during the heat of summer – or while on your holiday road trip. Making sure that your air conditioning is in good working order becomes a bit easier if you understand how it works. It might seem that it works by magic – you switch it on and cool, refreshing air blows out of the vents – but of course, it doesn’t. Unless you don’t ride to work on a car but on a flying carpet or on a broomstick Harry Potter style. Like a lot of systems in your car, air conditioning works by pumping some kind of fluid around a system, transferring heat energy as it goes. Your radiator does much the same thing, using fluid to take the heat energy away from the engine and put it somewhere else. This process is simpler in the radiator, as the natural way things work is for heat energy to pass from the hot object to the cold object – that’s part of the Second Law of Thermodynamics. However, the trick with air conditioning is to cool something down, which is a bit harder. However, it’s not rocket science and, in fact, the science of air conditioning pre-dates rocket science (almost) and cars have been sold with air-con since the 1940s at least. 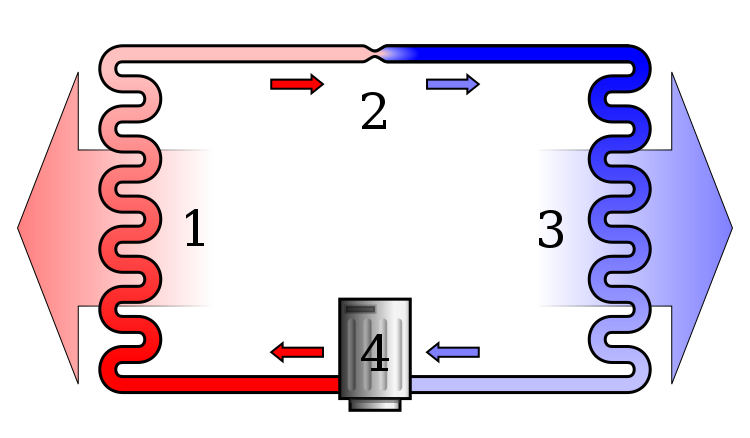 Air conditioning systems have three main parts: a compressor (#4 in the image above), a condenser (#1) and an evaporator (#3 – and #2 is a one-way valve). The compressor is the powerhouse of the system and it’s driven by your car engine. This is why old-school penny pinchers wanting to get a few more kilometres per litre will advise you not to run the A/C unit unless you have to – the more you ask your engine to do, the more fuel it will consume. However, on a hot day, the only other way to keep cool while driving is to open the windows, which increases drag, which also increases fuel consumption. Your choice was between saving fuel and keeping cool. Anyway, I digress. The compressor has the job of taking the refrigerant gas and putting it under loads of pressure. This pressure heats the gas up (think of how hot a bicycle pump feels when you use it), which seems counterproductive although it’s necessary. It needs the pressure to get around the condenser. From the condenser, the pressurised refrigerant gas moves into the condenser. This is a sort of radiator that manages to steal the heat from the pressurised gas as the gas worms around the tubes in the system. As the gas cools in the condenser, it turns to liquid. It’s now ready for the evaporator. Cooling by evaporation is the oldest known method of cooling down. This is how your sweat works and why spritzing your face with water feels so refreshing. 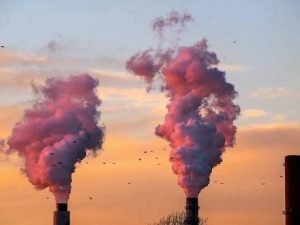 The process of turning the liquid into vapour or gas, be it the refrigerant in your air-con system or the sweat on your forehead, uses heat energy, so the place where the liquid used to be feels cooler. This, incidentally, is why alcohol swabs and perfume (and aftershave) feel cool on the skin: alcohol evaporates at a lower temperature than water so it evaporates quickly, using some of your skin’s heat to do so, and we perceive any rapid loss of heat as cold. The evaporation (technically boiling) temperature of the refrigerant is even lower (and so is its freezing temperature). In fact, when it hits the evaporator, the refrigerant should be at about 0°C. 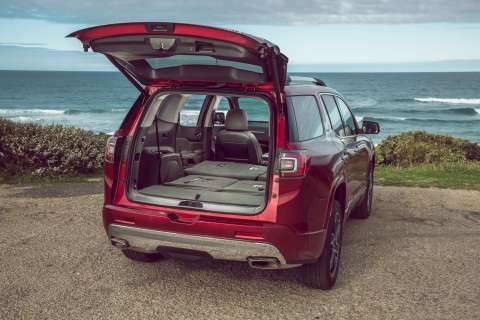 When it gets to the evaporator, which is usually located away from the rest of the system and quite close to the car’s cabin, the refrigerant absorbs some of the heat of the cabin as it changes from liquid back to gas again. Abracadabra – the heat energy goes from the air around you and into the refrigerant and you feel nice and cool, especially if the fans in the car take that cool air and make it move, which makes the most of the windchill factor. Ahhh – refreshing! The gas then cycles into the compressor and the process begins again. There are a few other bits and pieces in an A/C system, like the parts that remove actual water from the refrigerant liquid (this is why water drips out of the bottom when your A/C is running). Removing water and other bits is vital, as water would actually freeze in the system and damage it badly. On the whole, air conditioning systems take care of themselves unless they’ve been physically damaged. This is why the hoses in an A/C system need to be checked, as they’re the most vulnerable parts (all that pressure!). However, no system is absolutely perfect and bits of gas will escape so from time to time, you will need to re-gas or re-charge the refrigerant in the system. Simply, this involves topping up the refrigerant levels. And what about climate control? How does this differ from ordinary air conditioning? The big difference is that air conditioning just tries to cool things down no matter what. Climate control, on the other hand, tries to keep things at a set temperature (which YOU select). 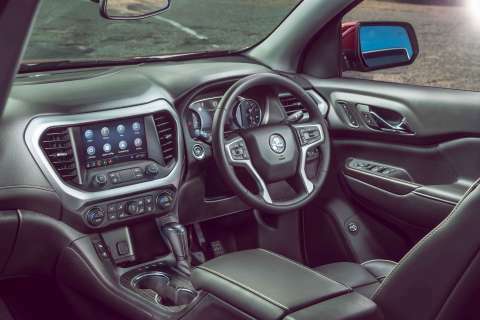 Climate control will turn the air conditioning system on or off, and will adjust air flow and add hot air from the radiator as needed, using input from the temperature sensors. And that’s about it. They say that climate control is more fuel-frugal than ordinary air conditioning because it doesn’t need to run the air conditioning system all the time nonstop – it only does it when it needs to. Dual zone and multiple zone climate control works in the same way as ordinary climate control but it’s got a few more temperature gauges so the system can fine-tune what it’s doing in different parts of the vehicle, which avoids the “I’m too hot” – “I’m freezing” argument. If it’s been a while since you had your air conditioning system checked out, then maybe it wouldn’t hurt to take it in for re-gassing before the summer starts. 2019 Ford Mustang EcoBoost Ready For Your Driveway. 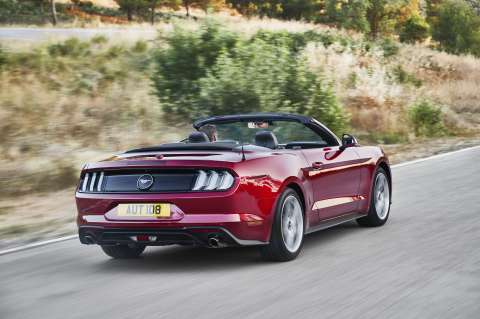 Ford‘s 2019 Mustang range has had the EcoBoost engine added and it comes with extra spice. 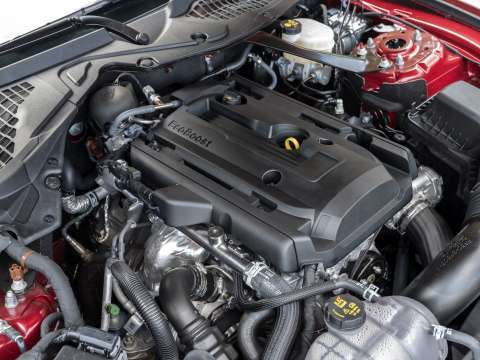 Sitting alongside the grunty 5.0L GT, the EcoBoost offers more torque than the previously available version. 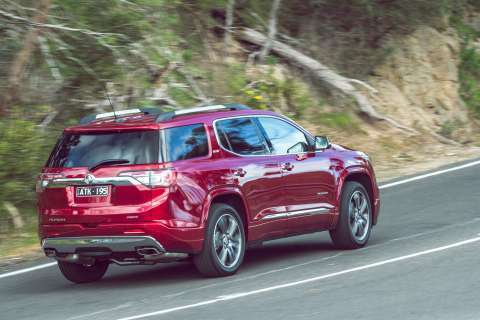 There’s also a new, optional, ten speed auto with paddle shift, extra safety features such as Autonomous Emergency Braking, the updated exterior, and a B&O sound system with 12 speakers with a total power of 1000 Watts. Warranty is now up to five years. The fuel injected alloy engine with twin scroll turbo produces 224kW and a ripping 441 Nm of torque. That compares favourably on a kW/Nm per litre factor when looking at the 5.0L’s figures of 339kW and 556Nm. Standard transmission is a six speed auto. The turbo has been tuned to deliver a beautifully smooth torque curve which enhances the overall driveability. Strength and durability comes from forged conrods, lightweight pistons with steel rings, and variable valve timing for better upper end performance. 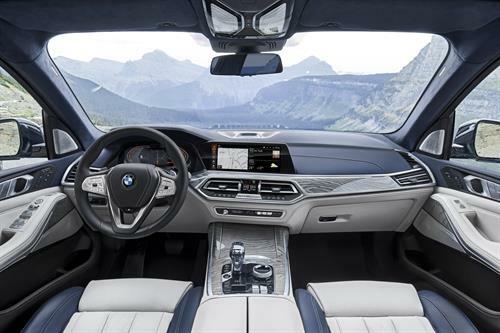 The interior features a new 12.4 inch instrument cluster that is heavily customisable thanks to a large involvement from ex games developers. Three modes are available, being Normal, Sport, and Track with adjustable layouts and colours. A new memory function, Mustang MyMode, allows a driver to set drive settings, steering preferences, and exhaust note preferences. 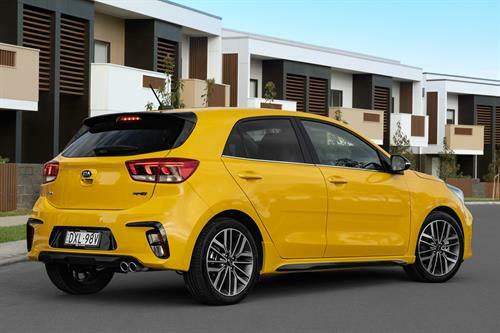 A brand new active exhaust features four distinct modes, being Normal, Track, Sport, and Quiet. An electronic control system enables the note to suit the drive mode and rev range, and there is even Track Apps to allow the recording of data for analysis. 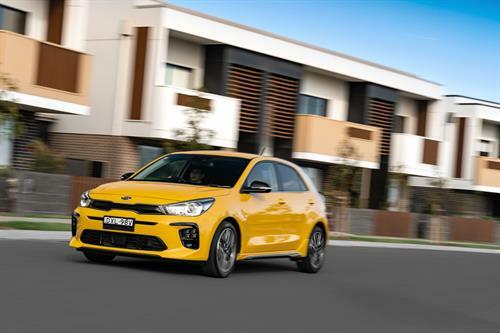 Ride and handling prowess has been upped thanks to new shock absorbers, and a new cross-axis joint for the rear suspension provides a higher level of lateral stiffness for extra stability. 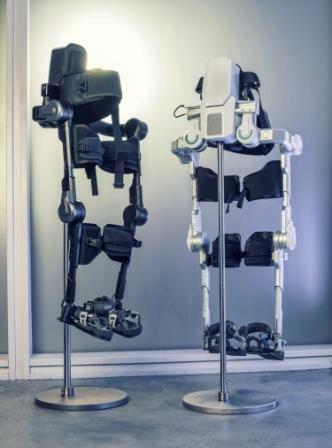 Redesigned stabiliser bars also factor in the increased handling capability. Magnetic damping has now been provided as an option. With an adjustment speed of up to 1000 times a second, the Ford MagneRide suspension was previously available in the Shelby GT350. More tech for the Mustang EcoBoost comes from the Ford DAT, or Driver Assist Technology. 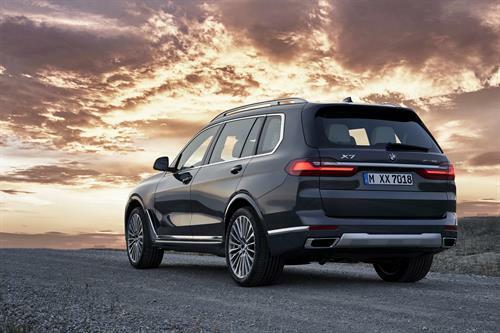 Pedestrian Detection technology partners with Autonomous Emergency Braking, Adaptive Cruise Control, plus Lane Departure Warning and Lane Keeping Assist. Auto high beam and auto levelling headlights are also on board. Ford’s renowned SYNC3 interface is standard on the EcoBoost and features Emergency Assist which will dial emergency services should the car’s telematics detect a crash has occurred. There’s an eight inch full colour display, reverse camera, Apple CarPlay and Android Auto. The EcoBoost will be available in the two body shapes, Convertible and Fastback, complete with reprofiled bonnet and grille for a harder. edgier, look. 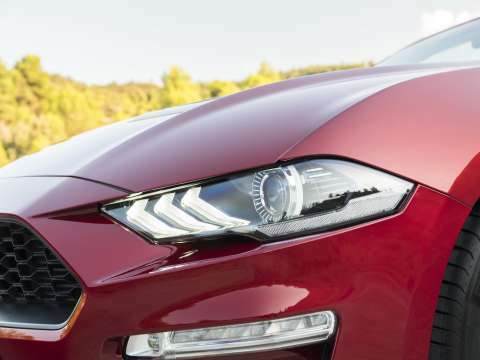 LED headlights are standard across the Mustang range, along with tri-bar daytime running lights. The LED taillights feature a revamped design, as do the bumpers, and there are black painted 19 inch alloys. Brembo supply the brakes. 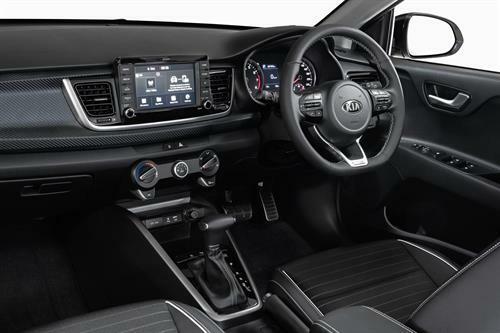 Inside the materials have been updated for a higher quality look and feel, with a new “spun alloy” llok for the dash panel. 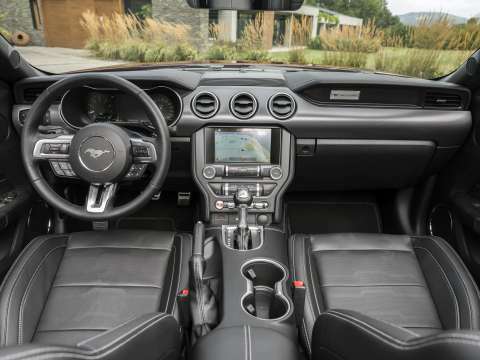 Complete with a five year warranty the 2019 Mustang range starts from $49,990 (manufacturer’s list price) for the Fastback manual, $52,990 (MLP) for the Fastback auto, with $59,490 being the MLP for the EcoBoost convertible auto. 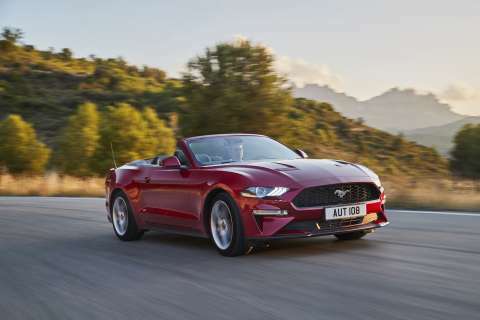 The 2019 Mustang range including the EcoBoost is available from Ford dealers now. 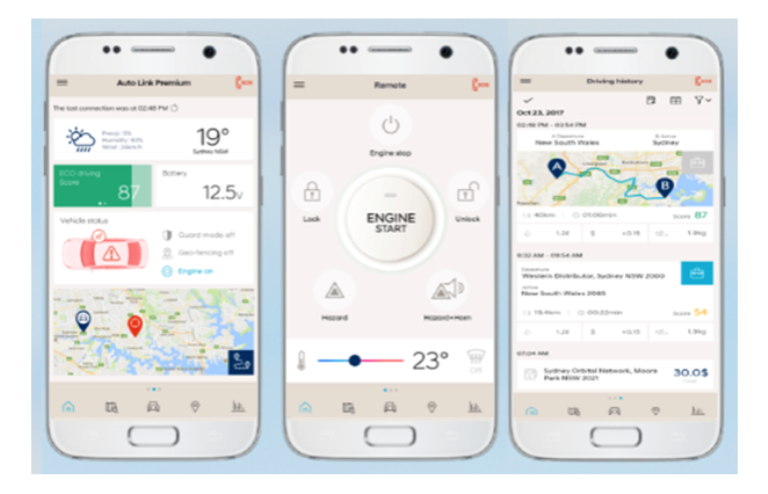 In a time where fuel costs seem uncontrollable in their rise, Hyundai and Caltex have come together to offer a deal where a an app-coupon will save four cents per litre at up to 120 litres per day. The combination works with 665 Caltex service stations offering the discount to buyers and drivers of selected Hyundai vehicles from October 15, 2018. Hyundai Auto Link Bluetooth and Hyundai Auto Link Premium are required and the current generation i30, Kona, Tucson, and Santa Fe should have these fitted. For customers who wish to claim the fuel discount, it is as simple as downloading or updating their Hyundai Auto Link app, logging in using MyHyundai, and presenting the QR code (available in the Coupon section) at a participating Caltex service stations. The app itself will locate the nearest participating Caltex station by opening the Hyundai Auto Link app and tapping on the Caltex icon. 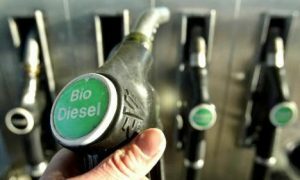 The fuel discount covers diesel, Caltex Vortex Premium 98, Vortex Premium 95, Vortex Premium Diesel, standard unleaded, E10, and standard diesel. myHyundai – Hyundai Auto Link is linked with the user’s myHyundai website to provide them with convenient functions for their vehicle. Highlander variants offer Hyundai Auto Link Premium (SIM module) as standard. Hyundai Auto Link Premium is also available as an optional accessory on all compatible push-button start Hyundai vehicles for $495 (incl. GST). Hyundai Auto Link Premium includes previously available Hyundai Auto Link Bluetooth® features, with the addition of new advanced convenience and comfort features. 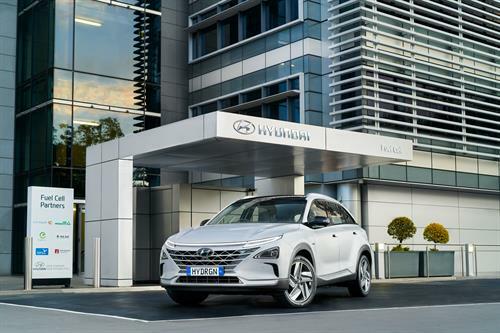 Contact your local Hyundai dealer for more information. 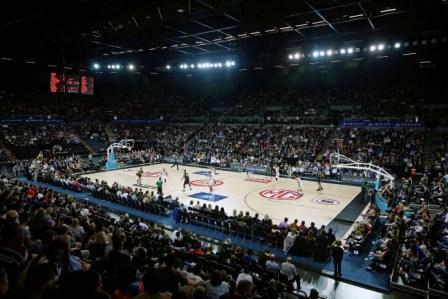 Regular basketball players will be aware of the centre section of the court being a circle, as is the scoring zone, or key, in front of the baskets. 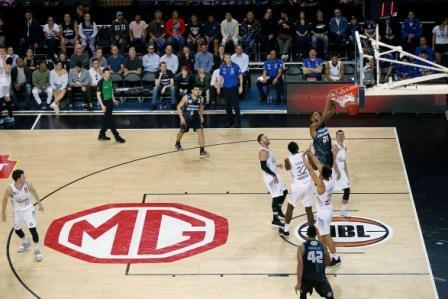 But for 28 games throughout the forthcoming 2018/2019 season, sponsored by Hungry Jacks, the key will be replaced by the distinctive MG Motor octagon.